As you know, health is a complex issue. Everything you have experienced in your life up until now has resulted in what we will find; all those falls you had as a kid, the bump in the car, the time you sprained your ankle because of a loose slab, the head banging in the mosh pit when you were younger, your poor posture at your desk or in the car while driving to and from work, your stressful job, the quality of the food you choose, being a shift worker and not getting regular sleep, whether you have a sedentary job at a desk, even feeling lonely and isolated. Literally everything has created what we see today! MojoQuestTM is a 3 phase analysis system, which takes approx. 1 hour. We then analyse all the data and create a plan of treatment that is specific and individual to you. 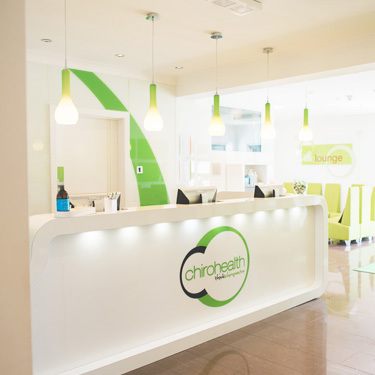 This will be ready for your next visit at The Chirohealth Clinic. We LOVE this appointment because this is when we get to tell you how we can help! Your MojoReportTM appointment will begin with you watching a short video about Chiropractic and how it works because we want you to fully understand how Chiropractic can help you. Then it’s time to discuss exactly what’s going on in your case with your Chiropractor. Just so you know, if we think Chiropractic is not the care you need, we’ll point you in the right direction. In cases where we want further tests, we’ll refer you back to your GP. Your goals – whether you want a “patch up”, prevent recurrence or feel on top of the World! Give our Scunthorpe chiropractic clinic a call to schedule an appointment today!